Take a cup of milk. Add a TBS of lemon juice or white vinegar. Let stand for five minutes. Voila! 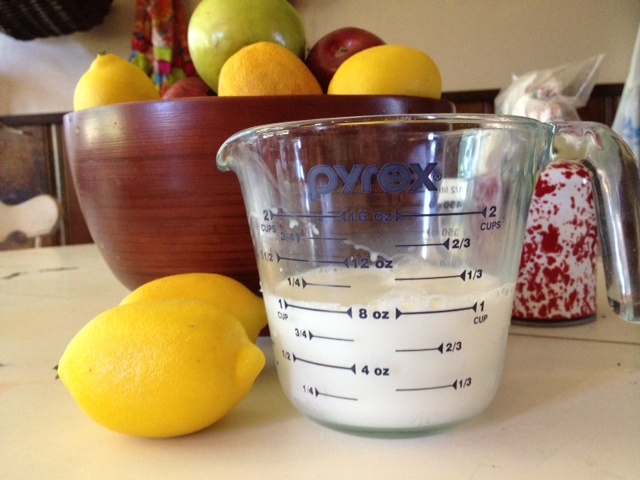 I rarely buy buttermilk because most recipes only call for a small amount. I usually let the rest go bad or end up baking more recipes that call for buttermilk. It’s a vicious cycle. With my dad’s helpful tip, I’m saved a little money and a lot of calories! I do this too! So handy. WOW, it is that easy?